Mia Guldhammer (Vokal, shruti box, percussion) & Morten Alfred Høirup (Vokal, guitar) er en helt ny duo på den danske folkemusikscene. Begge er velkendte og respekterede for deres arbejde i bands som Virelai, Mallebrok, Haugaard & Høirup og Himmerland, bands med hvem de igennem årene har turneret over store dele af verden. Nu er de to gået sammen om noget helt nyt på den internationale folke- og verdensmusikscene, en blanding af gamle danske sange og ballader, tilsat traditionel dansk musik, krydret med egne melodier, og arrangeret for sang, guitar og perkussion. Mia Guldhammer (Vocals, Shruti box, Percussion) & Morten Alfred Høirup (Vocals, Guitars) is a brand new vocal duo from Denmark. They are both wellknown and highly respected for their work in bands like Virelai, Mallebrok, Haugaard & Høirup and Himmerland, bands with whom they have been touring intensely all over the World for many years. 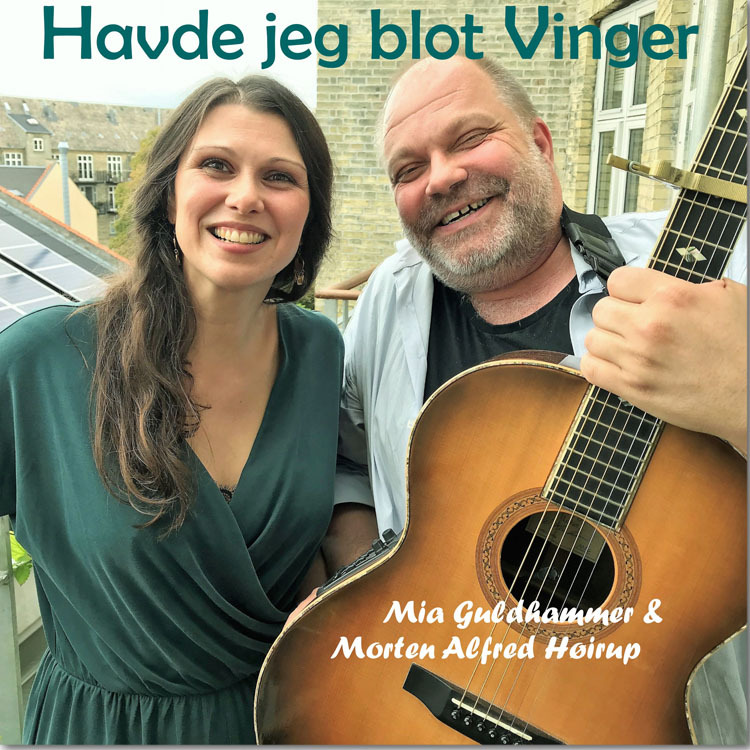 Now the two musicians have joined forces, introducing something new on the international folk and world music scene, focussing on the old Danish songs and ballads, mixed with their own newly-composed music – all arranged for two vocals, guitars and percussion. Morten Alfred originally composed this tune for a Danish TV documentary. ‘The House by the Sea’ is not a real ‘house’, it is a mental house where you can seek refuge, when you need to be alone to meditate or reflect about your life and your situation. Rundt på gulvet (‘Around the floor’) is an old traditional song from the Danish island of Fanø, situated in the south western part of the country, not far from the German border. The song is about a young girl who has two lovers, and it starts like this: ‘Oh if only I had wings, and was a little bird, then I would fly to a strange country, where no males are living’. The first of her two lovers is named ‘Joy’, the second is called ‘Dancing’, and she often walks around the dance floor with both, using the very light steps of the youth. The song is being followed by ‘Dansen’ (The dance), a little dance tune composed by Mia & Morten illustrating this powerfull young girl dancing. This song continues into Morten’s tune Håbets dans, a tune that seeks to inspire hope. Dette indlæg blev udgivet i Ikke kategoriseret af erling. Bogmærk permalinket.